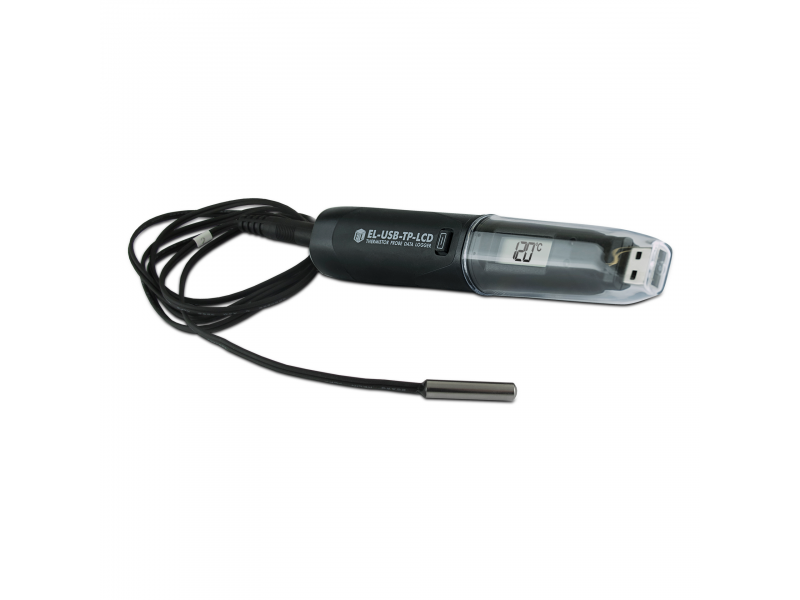 This standalone data logger records and displays over 32,000 temperature readings from the supplied thermistor probe. 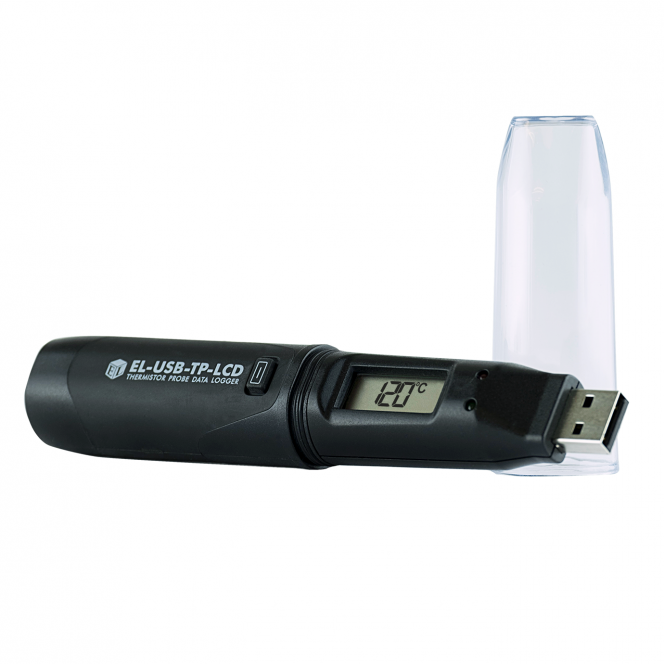 The EL-USB-TP-LCD features an LCD and push-button which allow the user to cycle through the most recent, highest and lowest stored readings. 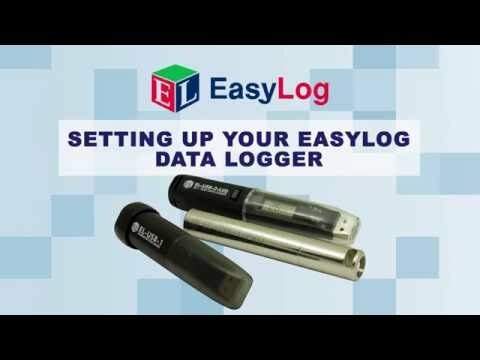 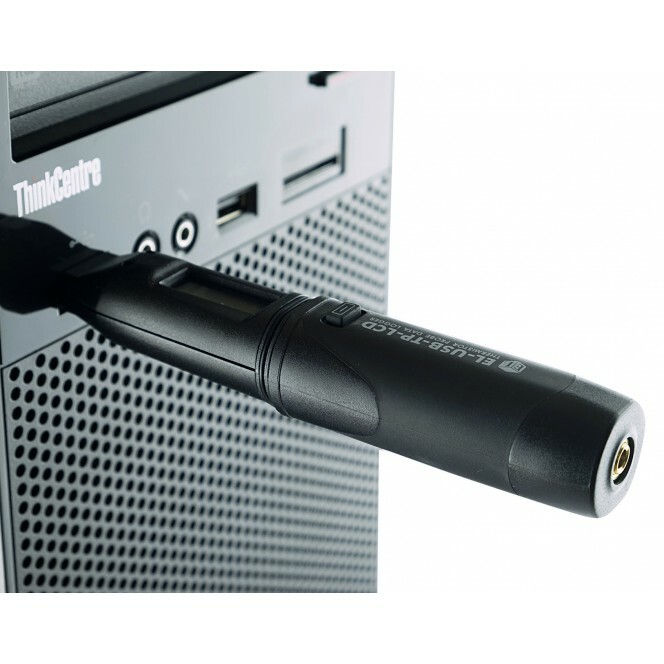 The EL-WIN-USB software enables quick configuration and data download via the USB port available to download for free. 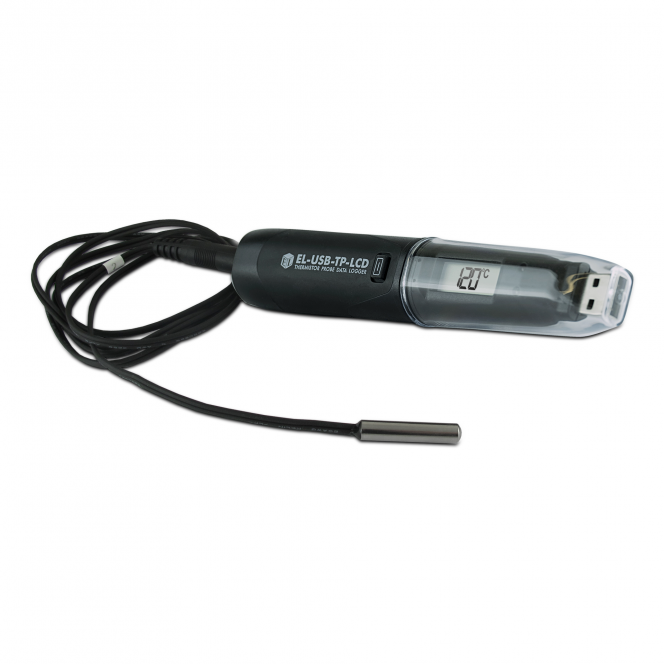 Supplied with thermistor probe and long-life lithium battery. 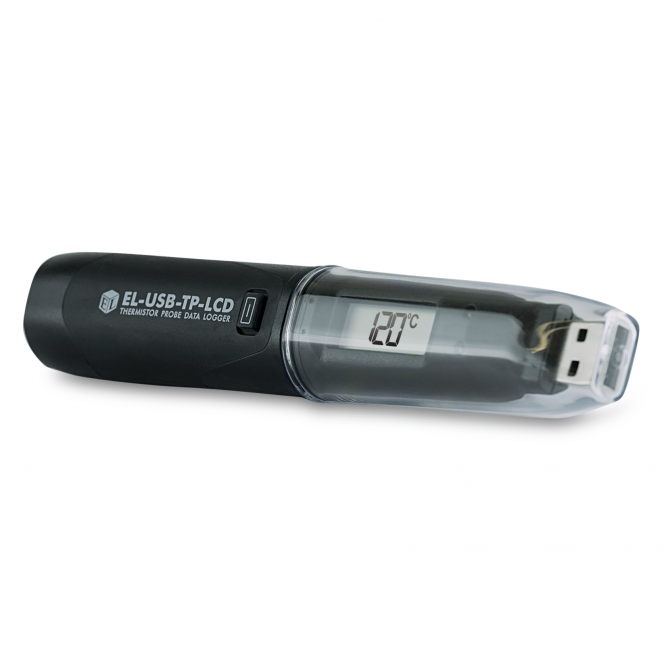 General Description This standalone data logger records and displays over 32,000 temperature readings from the supplied thermistor probe.